Apple’s less pricey iPhone XR has almost all the same features as its higher-priced siblings, except it has an LCD screen instead of OLED and a single-lens instead of dual-lens camera on the back. Although the phone has only one lens on the back, it still supports Portrait Mode, but some users are claiming there’s an issue with it. Atttendees at Apple’s keynote speech were the first to point out the iPhone XR Portrait Mode problem. What is the iPhone XR Portrait Mode problem? Apple released three new iPhones last week: the iPhone XS, iPhone XS Max and iPhone XR. 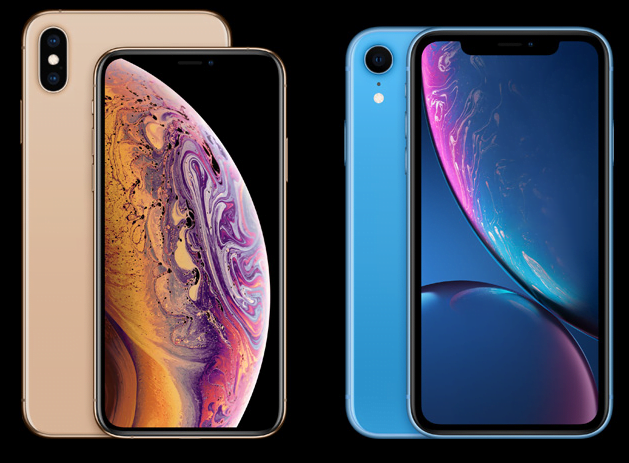 The iPhone XS and iPhone XS Max are higher-end models, while the iPhone XR is a less expensive model. It runs on the same A12 Bionic chip, has the same notch, and features Smart HDR, just like its more expensive siblings. The two main features that are missing are the OLED display and 3D Touch. The iPhone XR also doesn’t have a secondary telephoto lens, which supports DSLR-like portrait shots. Instead, the handset utilizes software-based machine learning algorithms to identify and then blur the background. Though the iPhone XR’s camera works pretty well, Techpinions founder Ben Bajarin discovered a problem with the Portrait Mode. The iPhone XR Portrait Mode problem he pointed out prevents it from working on anything non-human. For instance, when in Portrait Mode, the iPhone XR’s camera was not able to identify a car or even objects like tables or chairs. “Only knock I discovered on the iPhone Xr is that portrait mode only works on humans. This is due to how Apple implemented portrait mode using a single camera system. Pixel 2 does portrait on any object using one lens. Hopefully Apple makes sure customers understand this,” Bajarin tweeted. Portrait Mode works as expected on the other supported models, the iPhone X, iPhone XS and iPhone XS Max. The iPhone XR Portrait Mode problem highlighted by Bajarin (if confirmed and not rectified by Apple) will come as a big disappointment for Apple fans. Users will surely want to know why the iPhone XR can’t recognize both humans and objects using just a single lens when the Pixel 2 smartphone can do it. It must also be noted that though the iPhone XR is touted as an affordable iPhone, it still is more expensive than other high-end Android handsets on the market. Even the Pixel 2 is priced $100 less than the iPhone XR. Though users have every reason to be disappointed with the iPhone XR Portrait Mode problem, it does have one trick that even the iPhone XS can’t match. Apple will be hoping this trick will make up for the iPhone XR Portrait Mode problem. One can use the iPhone XR Portrait Mode with the wide-angle lens as well. On earlier iPhone models, the Portrait Mode uses only the telephoto lens. As of now, there is no information from Apple on if the wide-angle lens Portrait Mode will be on the other two new iPhones or not. The iPhone XR has been marketed as being almost the same as the iPhone XS and XS Max, but that is not entirely true. Apart from the obvious differences like the LCD instead of the OLED display and the single-lens camera on the back instead of a dual-lens, there are a few more differences. For example, in addition to the iPhone XR Portrait Mode problem, another difference that hasn’t been talked about much is the 6.1-inch Liquid Retina display. The other two iPhones have Super Retina displays. However, Apple suggests that the iPhone XR is a steal at its current price because it has almost all the same features as its higher-priced siblings. In addition to having the same A12 Bionic chip, which features a next-generation neural engine to boost performance, the iPhone XR also has faster Face ID recognition and IP67 protection against spills and drops. The phone’s aerospace-grade aluminum and glass enclosure makes it durable in addition to looking good. Additionally, Apple is offering the iPhone XR in six different colors, which is more than any other iPhone to date.